We’re (re-)initiating neighbourhood groups for Unitarians around Metro Vancouver. Each neighbourhood group will develop their own ideas about when, where, how and why to meet. How often do the groups meet? In terms of frequency, they might decide to meet monthly at a regular time, or, more likely, might decide to meet several times per year. It could be that one or more groups will exist primarily online as an email group that helps people to connect and arrange for get togethers on merely a spontaneous level. Larger gatherings would need someone/s to make decisions and issue the invitation each time there’s an event, of course. Over time, all those participating would likely take a turn at “hosting” an event. Hosting, however, doesn’t have to be a gathering in your home. It might be a meetup at a coffee shop, arranging a group to attend a film or theatre performance or a dinner out–probably in your neighbourhood. Are they just social groups or do they have discussions? Some groups will likely decide to have a focus for discussion; and others might be purely social. And in true Unitarian style, likely many gatherings will be both/and. 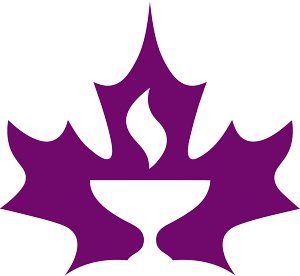 The Westside Unitarian Neighbourhood Group (WUNG) has a monthly afternoon discussion with members of the congregation speaking on a topic. There is also a closed monthly covenant group. On their email group, people sometimes post spontaneous invitations to go out for dinner or an event. A neighbourhood group could decide to have a book group, a film/DVD/youtube watching night, carpool to outside community events. It’s all up to the group to decide what works best for them. For each gathering, the host (or hosts) decide how many people, whether there’s food and if so what, and of course the time and date and focus of the gathering. We encourage people to team up for the host role–perhaps one person has a home that would accommodate a gathering and the other host would send out invitations and take RSVP’s. If it’s a gathering out, the host in that case would make arrangements, take an RSVP list and reserve space and tickets. Possibly they’d help with arranging car pooling.Some theatres (like Firehall Arts Centre) let you reserve tickets for a week without paying and cancel if they’re not taken up. This is a risk-free way to arrange to sit together. And if the group gets larger, most theatres give a discount for 10 or more tickets. Either share the discount or let the organizer have a free seat in return for their efforts. Each neighbourhood group has an email list, so members can fairly spontaneously connect with each other. This will also help new members at UCV to join and introduce themselves. In other words, once the Connect & Engage Team helps you connect with those who live in the same area as you, it’s up to you to move forward. New Westminster and nearby – includes some Beacon members who have/had connections with UCV. Cheryl and Rob hosted a gathering last March. The group might also take on coordinating a Movable Feast at a restaurant near the New West skytrain station. Westside Unitarians (click for our googlegroup)- Kits-ish people and those further south (Kerrisdale and Dunbar) are also welcome to join us. This group met for the first time in December and has decided on a monthly gathering on the 4th Tuesday of each month. Thanks to Jeannie and Caede for hosting and Sheila for managing the RSVP’s. maximum 15 people. Eva has initiated a monthly covenant group for Kits residents (full now). Mary sends out a spontaneous invitation for a dinner out on a fairly regular basis..
East Vancouver – We have quite a few members in this area so delighted they had their first potluck in 2018. If you’d like to host a gathering, send a note or just announce it on the email list. Remember: Neighbours sometimes just invite a neighbour to drop in or meet for coffee. So while we anticipate that most gatherings will be planned a week or more in advance; other events might be as spontaneous as someone posting something they’re attending and offering to meet up or possibly share a ride. Fairview/False Creek is just getting going. Contact Vivian Davidson to find out what’s happening and offer your suggestions. South Vancouver – Roughly south of 16th or so – Marpole, Oakridge, Kerrisdale, etc. This is the neighbourhood the UCV is in. Members here might propose an event for a neighbourhood small grant and host it at UCV. (Only individuals can propose, but a free space is entirely OK.) Here’s the link if you’d like to think about something like that. All neighbourhoods have neighbourhood small grant programs. Events have to occur in the neighbourhood where the residents live. In other words, only the UCV members living in South Vancouver-Collingwood can get a grant and host it at UCV. Several Unitarians have received NSGs for events in their community. If you’d like to consider this, do go to neighbourhoodsmallgrant.ca and learn more. Applications are usually available in February and due in March. Sunshine Coast – Sechelt etc. When asking to join an email group, send your name and your connection to UCV to the email owners. The groups are set up so “anyone can ask” to join. If you have trouble joining, contact the Connect & Engage Team by email. If your neighbourhood doesn’t yet have an email group, we can help! And remember two or three is a group. You can start small and build from there. Are people outside the neighbourhood welcome? 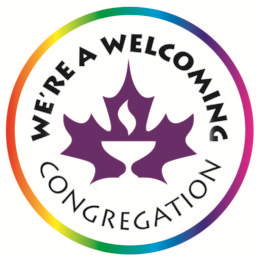 Hosts are welcome to invite others if they so wish – including friends who aren’t involved in the congregation and other Unitarians who are in other neighbourhoods. Cross-pollination is a good thing. As the intention is to grow connections within a particular area, some events will likely be for residents in that area only unless there is extra space. Inviting friends when there are only a few people attending from the neighbourhood helps build stronger bonds too. We recommend that gatherings be put on the website and in the weekly announcements and UCV events so new people (and those who are not on the email list) can know what’s going on. Unlike covenant groups which are closed groups, these are intended to be open groups. Probably each neighbourhood group will eventually have 25-30 people on their email list and 10 or so showing up at any particular gathering. But we’ll see. If you want support in advertising your event, send the details and we’ll either offer you some advice or perhaps even do it for you. Send to the UCV Office by Wed noon for the next Sunday’s Order of Service. Post on the website by the 18th of the previous month to have it included in the next month’s email to 500 members and friends. If you can’t post directly, see if someone else in your group would be willing to take on this task or see if one of the web team could help you. Usually a committee or group nominates someone in their group to do web posts. We offer computer training for committees, usually on a Saturday morning.